Here are twenty-one of the most useful, lovely, and fun garden gift ideas for those on your list who can’t wait to be digging in the dirt. You’ll find everything from the utilitarian (a pH soil tester, a heating mat), to the purely fun (a seasonal veggie t-shirt), to the beautiful (a floral tote, ribbed galvanized planters) for women, men, and even a garden loving kid. And if you’re looking for even more gift ideas, you can see AOC’s other gift guides here. 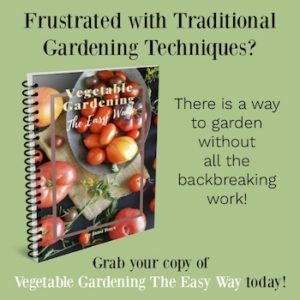 If you’re a gardener (or know and love a gardener) then you know that other than the actual tasks of gardening and harvesting the literal fruits of your labor, there is fun in collecting the tools, containers, clothing, etc. that surrounds gardening. Finding that perfect container for your porch or the watering can that will make your heart sing when you use it helps put a spring in every gardener’s step. It’s also nice to be introduced to new things that will make your gardening life easier, like a heat mat for starting vegetables and flowers in the early spring, a soil tester so you know just how to amend your soil, or a twine dispenser that only needs one hand to cut (because we know you’re always holding up a flopping plant with the other…). 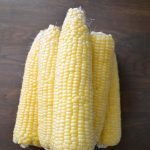 I had a lot of fun compiling this list of garden gift ideas for you guys. It’s made up of things I use and swear by and the things I found that I would love to have too (you can bet I’ll be passing this along to Brian, ha!). 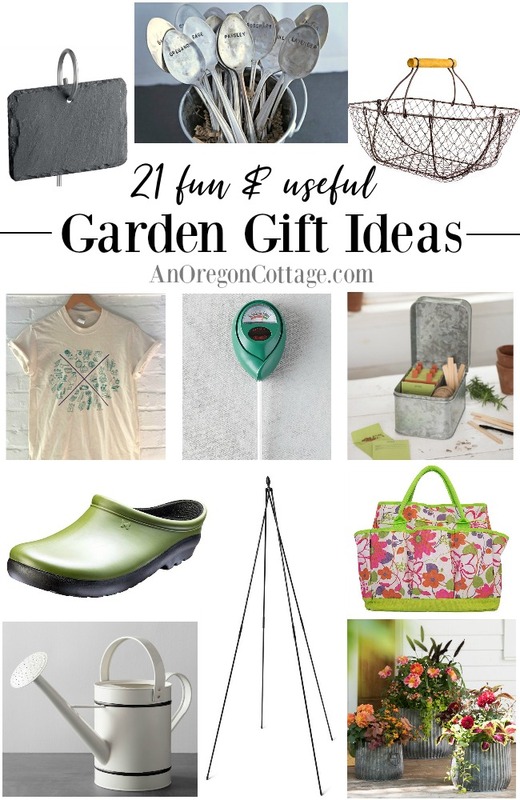 I hope you find a garden gift idea in here that you can get for someone or that you can pass on as an idea for someone who’s asking you. 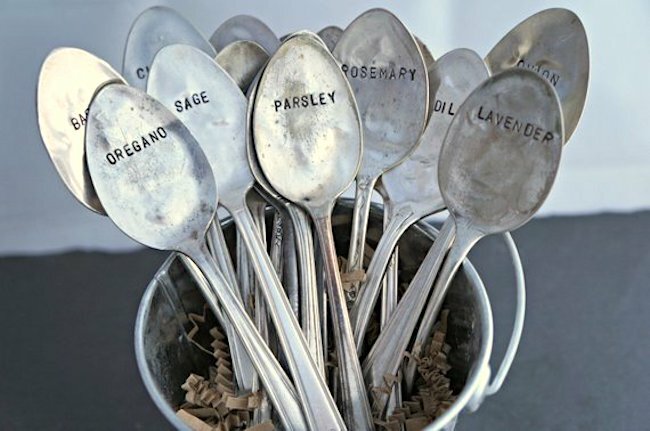 Recycled Spoon Plant Markers. I just love these vintage, flattened spoon markers! 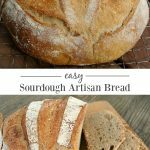 I have wanted to make some for years, but if you don’t have the time (like I apparently don’t…), buying handmade from Etsy is the next best thing. One of these included with a plant and pot, or a couple tied to another gardening gift would be perfect. Seasonal Vegetable T-Shirt. 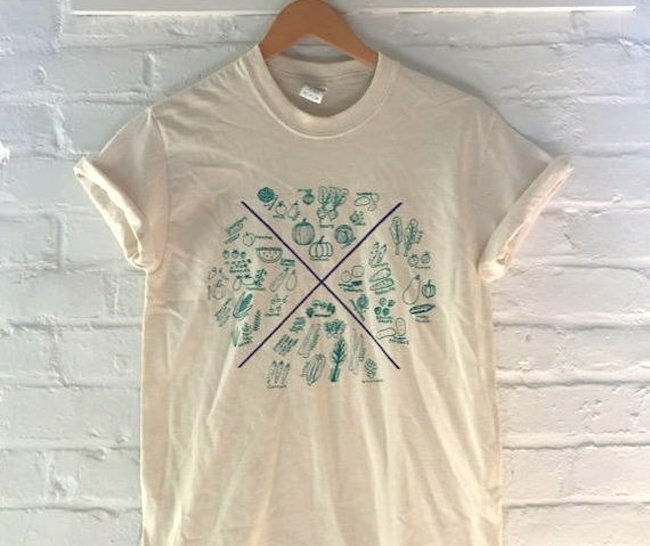 Subtle graphic tees are my jam (no “I wet my plants” for me, please…) and this clever t-shirt combines a gardeners natural love of seasonal eating. Each quadrant of the image contains the veggies most plentiful that time of year. I see this as a fun conversation starter, too. Indoor Grow Light System. This is a nice portable stand and light kit to grow your own seedlings anywhere you have space in your home. 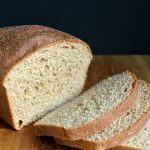 You can see my DIY set-up in this article, but anyway that helps you to start your own seeds is great and this has good reviews. 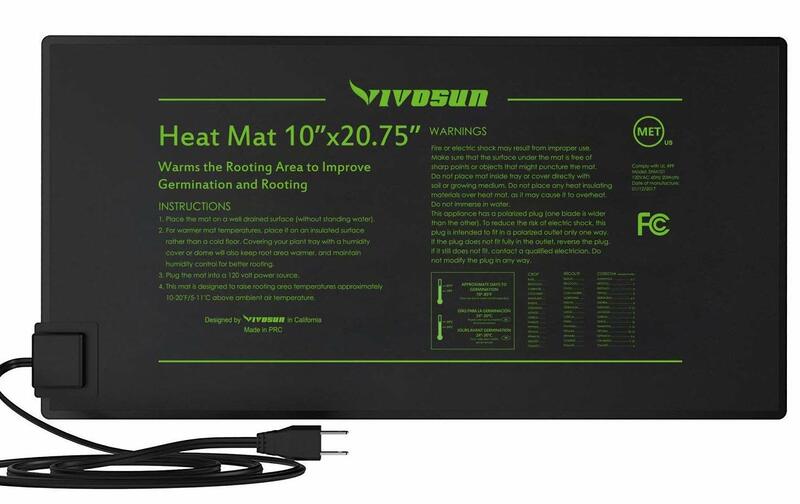 Durable Waterproof Seedling Heat Mat. Also a big part of my seed starting set-up is a heat mat for warm weather lovers like tomatoes and peppers. This really gets them growing healthy even when it’s cold. These have come down a lot in price over the years – I recommend them to every gardener who starts seeds. Metal Harvest Gathering Basket. 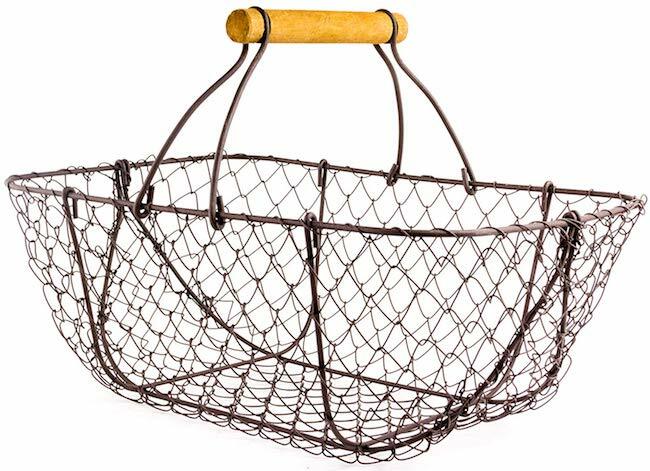 I use a couple baskets like this to harvest fruit and vegetables – it’s so much nicer than an old 5-gallon bucket splattered with paint, isn’t it? I got mine as gifts and can attest to the fact that they bring me joy and are well-used. 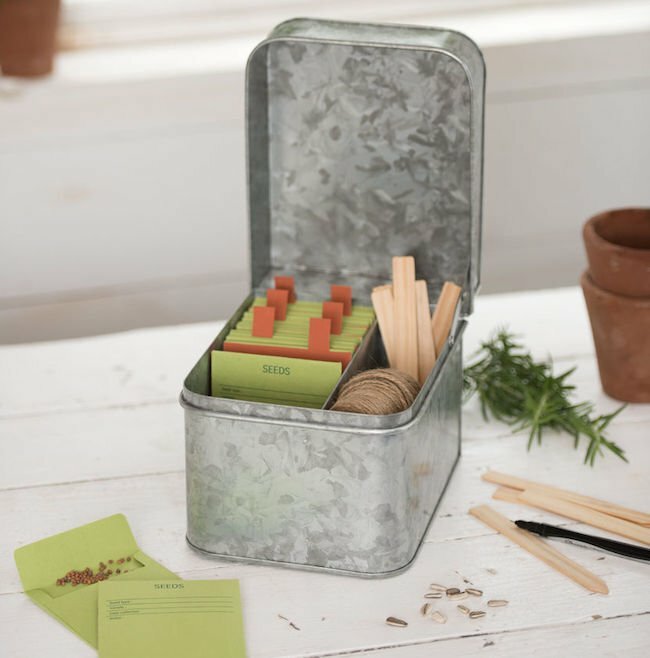 Galvanized Steel Seed-Saver Box.This cute box comes with the seed envelopes and dividers (not the twine and labels, but you can see the storage idea), which is nice for the seeds saved from year to year. 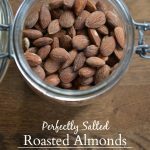 I also have a galvanized steel box that I keep some seeds and other garden supplies in – it looks great on the counter and keeps me organized. 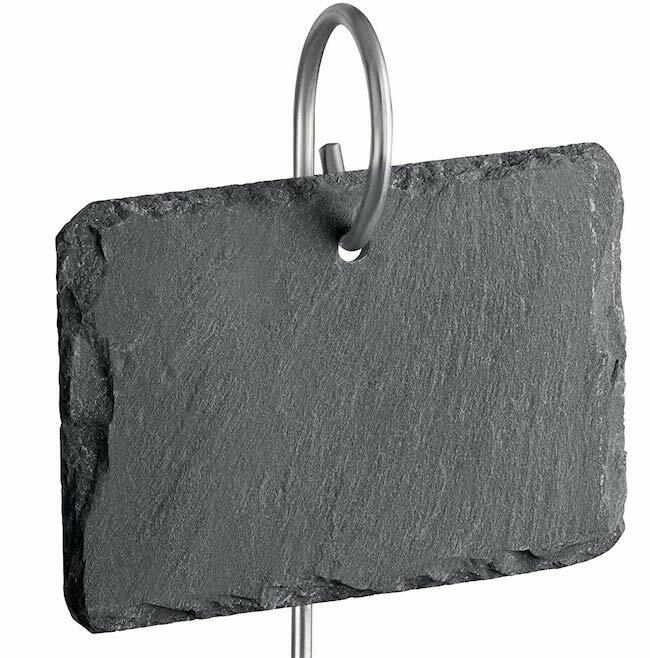 10-Pack Natural Style Slate Plant Labels with Stainless Steel Hangers. When I shared these photos of my aunt’s sweet garden on Instagram, people loved it and her chalkboard labels. Here’s how to get the look: buy these slate plant labels and permanent white chalk pens to withstand the weather. I’m going to use these in my garden – gifted or not, ha! 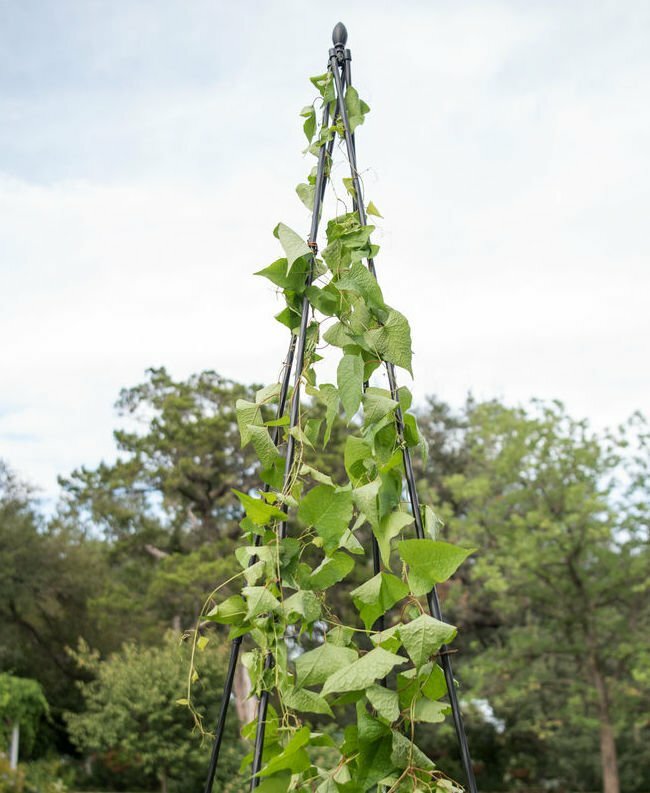 Teepee Trellis for Tall Pole Beans and Annual Vines. 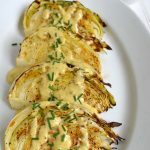 I have had similar four footed trellises for both vining flowers and vegetables and really like the beauty and function they bring to the garden. 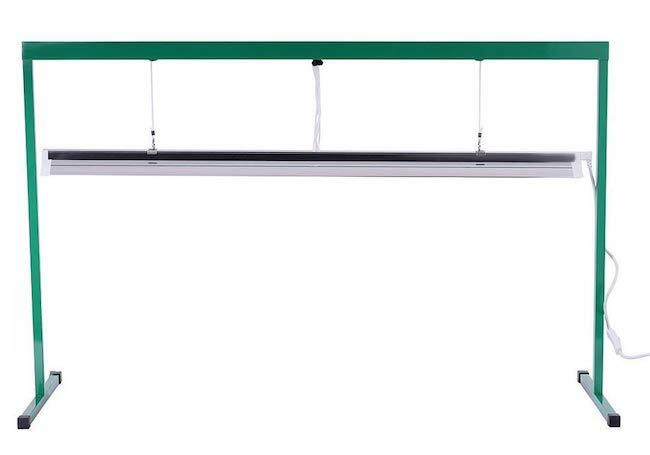 This is made of polyethylene-coated steel so hopefully will hold up well – and it’s a good price, too. 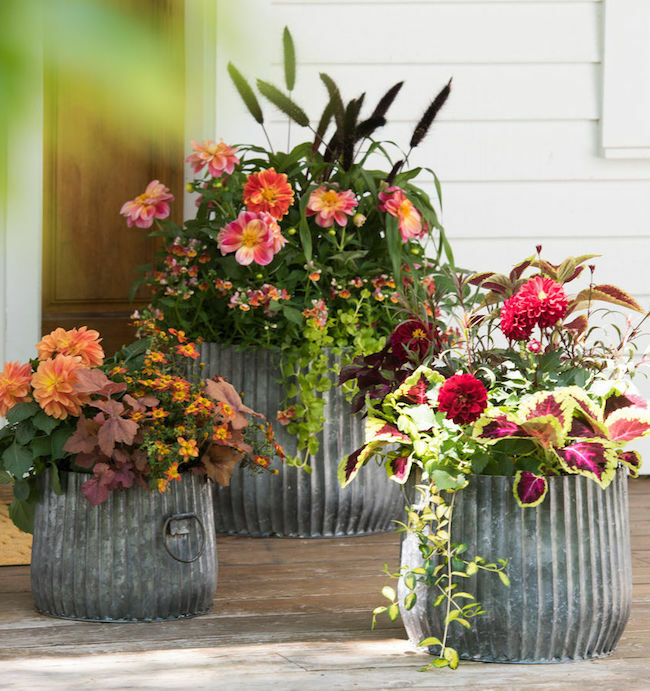 Galvanized Ribbed Barrel Planters. Goodness I just fell in love with these planters when I saw them! I really love how the flowers look against the metal and there was a seasonal holiday photo on the site, too, showing them with evergreens. So cute and would work for both farmhouse and modern decors. Sloggers Women’s Premium Garden Clog. I wear garden clogs similar to this almost everyday during the gardening season. 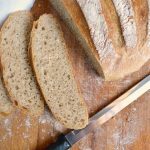 Easy on and off make them my go-tos right by the door. They come in other colors, too. 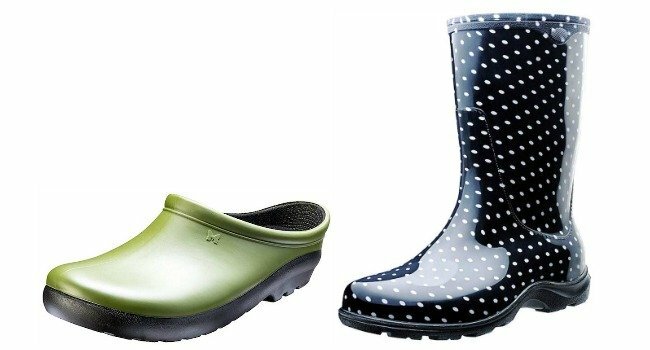 Sloggers Women’s Waterproof Rain and Garden Boot with Comfort Insole. During the winter and rainy seasons, though, it’s all about the garden/rain boot. I’m looking for a new pair and some are so darn expensive for just mucking around in the mud, yikes. These seemed to hit the sweet spot of sounding durable but being reasonably priced with really great reviews. I also like the sound of that comfort insole. Oh, and they come in lots of different patterns. 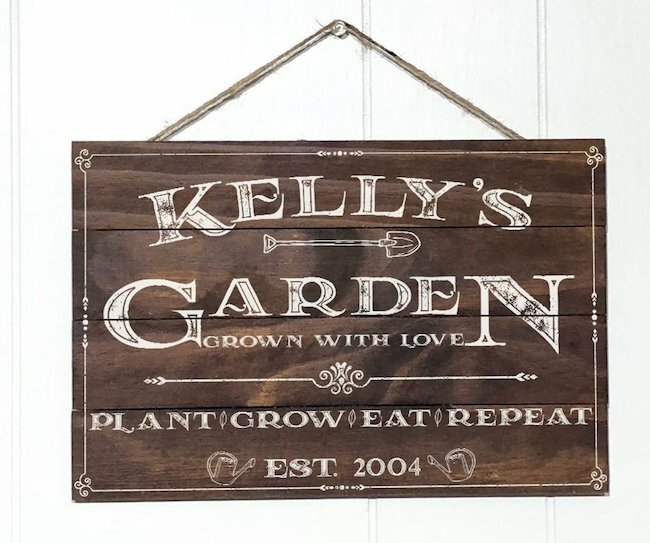 Rustic Wood Garden Pallet Sign with Custom Name & Established Year. I can’t imagine anyone who wouldn’t love a handmade garden sign like this. I especially like the established date and the “plant, grow, eat, repeat” because that sure describes the gardening lift, right? 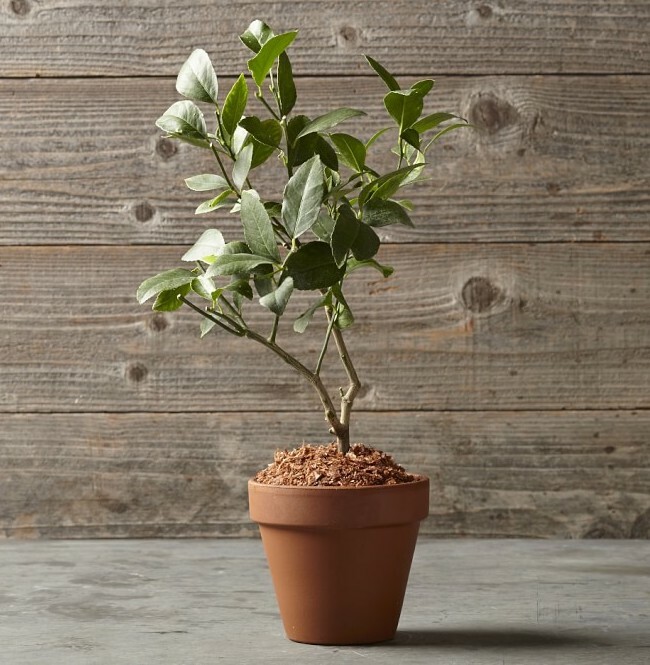 Lemon (or Lime) Tree in a Terra Cotta Pot. I grew a lemon tree and managed to keep it alive for quite a few years bringing it inside for winter. The smell of the blossoms is lovely and you actually do harvest some fruit. I think this would be a wonderful gift! Soil pH Meter. 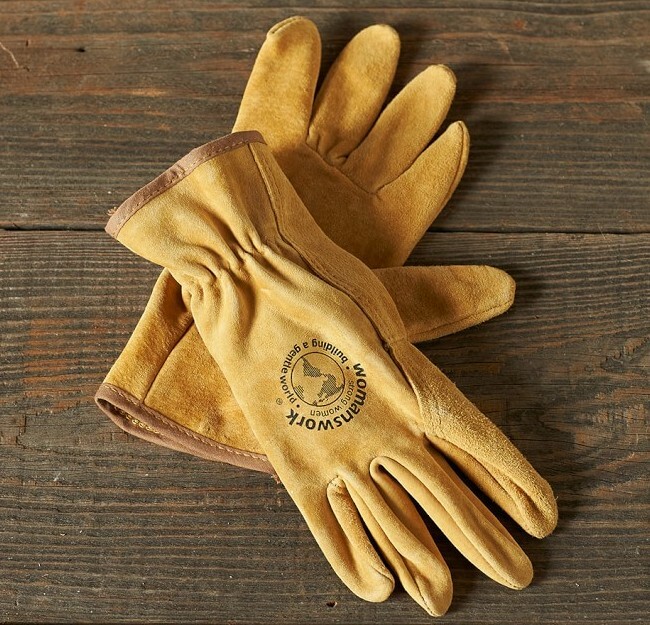 This is one of those items that most gardeners should have but often don’t (hand raised…). 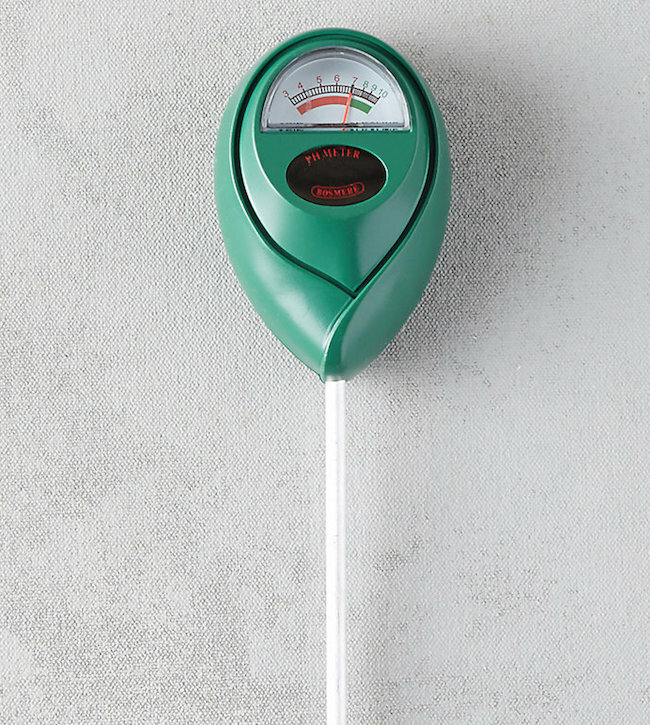 The health of our soil is the basis of literally everything we want to grow and this meter is an inexpensive way to get a rough idea of your soil health and what you may need to add to get it to a sweet spot. Garden Jute Twine Dispenser. I have a can dispenser with a cutter on the lid that saves me looking for a pair of scissors in the garden which I love. 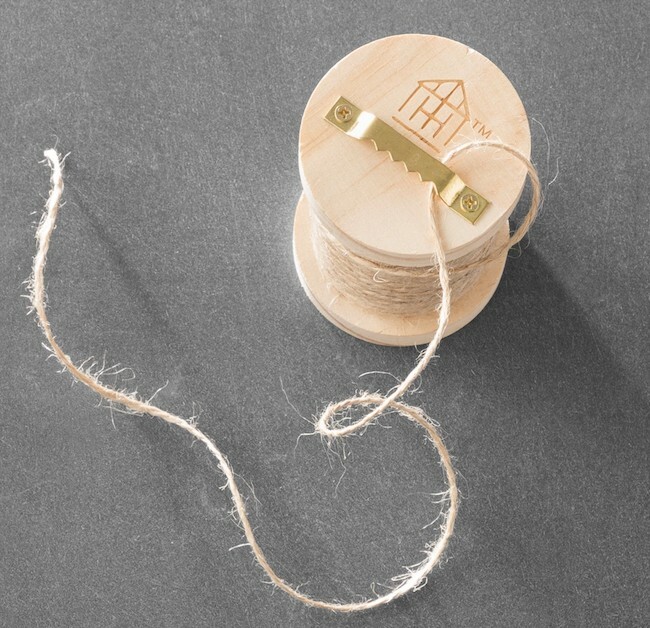 I found this really cute version at Hearth & Hand that resembles a spool of thread – but still with the indispensable cutting bar. 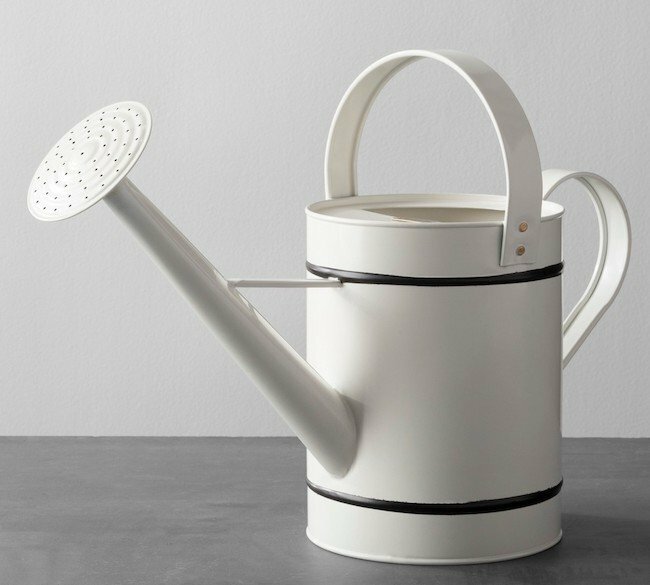 Cream & Black Metal Watering Can. I got rid of plastic watering cans years ago – metal is beautiful and grounds us to the earth and the traditions of gardeners through the centuries. 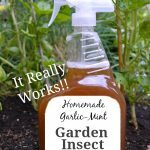 This version is adorable and useful at the same time – perfect for watering the flowers on your porch and then leaving it there looking pretty until the next time. 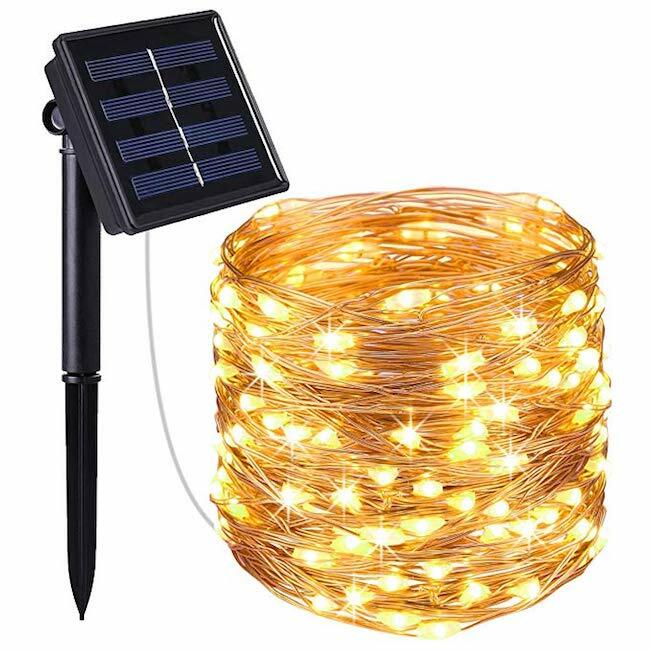 100 Solar Powered LED Copper Wire Lights, Indoor/Outdoor Waterproof. We added solar powered fairy lights to the top of our gazebo at our last house and they brought me joy every night as they lit up. I would definitely recommend them for anywhere outside you see from inside. These are on a flexible copper wire, making them easy to mold to where ever you want them. After using an old paint bucket for years, my sister gifted me with a garden tote and I’m a garden tote convert now – I’d never be without one. Mine has saved me so many trips to the garden shed or garage and it’s easy to grab and take with me when I’m working on other’s gardens. I’m sharing two types of totes – one standard shape the the larger pockets on the sides (like I have now) and another wider version that’s made for regular tools, too, but I think looks really useful. Floral Garden Tool Bag Tote. This is a cute tote bag that many women may love. It has good ratings and will hold most of the garden tools you’ll need. The bag I had like this tended to flop over with the weight of the tools on the sides and the center opening was hard to see into. Boss Bucket Hard Tote for Garden and Tools. This Boss Bucket, though, looks like it may really work for me – I love the wider opening and see that I may just use that for the longer tools, leaving the sides for the smaller snips, labels, ties, and pen I carry around. 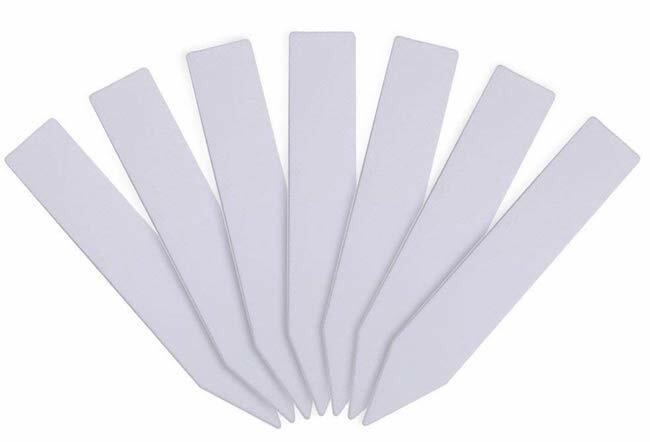 Plastic Plant Labels Plant Tags. These aren’t as pretty as wood labels (see the galvanized seed saver kit above), but I’m here to tell you they last a LOT longer and hold the writing better. If you use a waterproof marker like this rather than a regular sharpie (apparently not permanent outside…), then they will almost last a whole year. This would be a really useful gift! 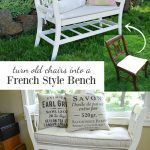 So there you have it – 21 really fun and useful garden gift ideas! I know I have only scratched the surface of great garden gifts – I’d love to know anything you’ve received that has changed your gardening life. Just let me know in the comments.